IJIAS is seeking scholars interested in serving on our volunteer Advisory Board. If you are interested, please download and submit the Reviewer Application Form (filled and scanned) to office@issr-journals.org. We will respond to your inquiry shortly. If you have a colleague who may enjoy serving on our volunteer Advisory Review Board, please feel free to forward our Website address to him or her. Peer reviewers are charged with providing feedback to IJIAS editors about the merits of submissions in terms of quality and contribution to the field. Reviewers are expected to write reviews in a timely, collegial, and constructive manner. 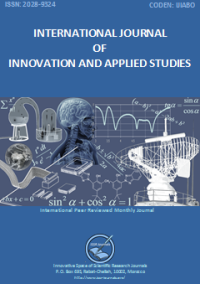 Maintaining IJIAS as a scientific journal of the highest quality depends on reviewers with a high level of expertise and an ability to be objective, fair, and insightful in their evaluation of manuscripts.